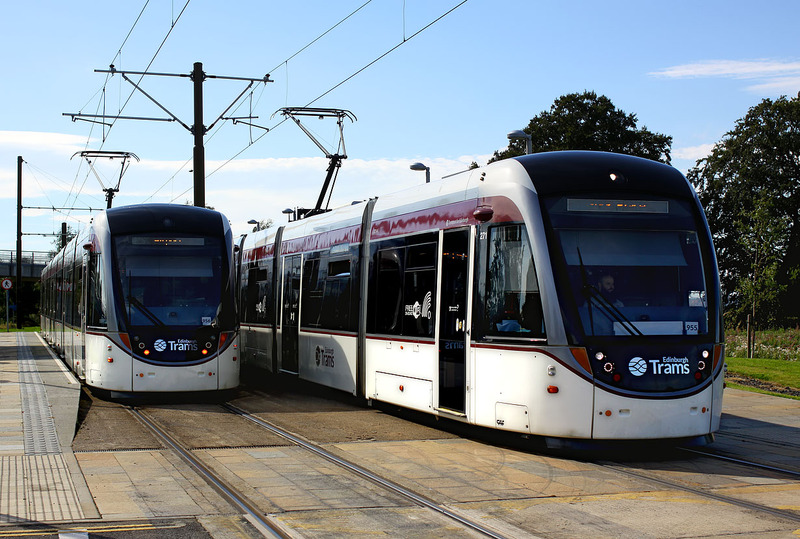 A pair of Edinburgh Trams pass at Gogarburn station on 30 August 2016. 271 pulls out of the station, heading for York Place, while 274 is waiting to depart for Edinburgh Airport. Just behind the trees on the right is Gogar church, a surviving remnant of the otherwise mostly disappeared medieval village of Gogar.